Another cool product from Whipping Post, possibly inspired by the Radiohead song, "Packt Like Sardines in a Crushed Tin Box". 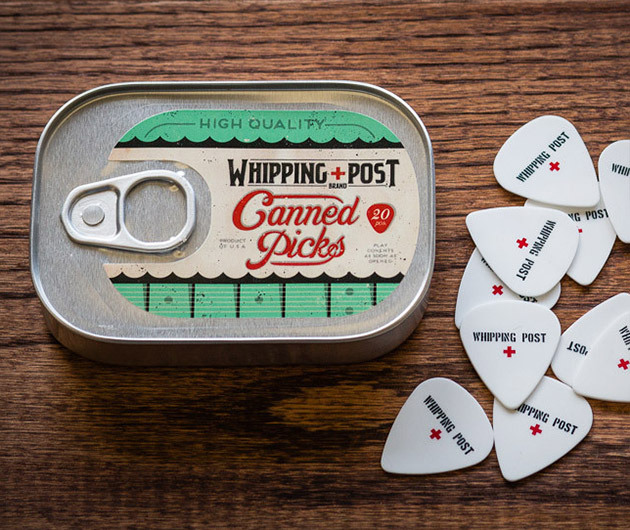 Canned Guitar Picks come originally packaged, sardine-like, in a neat tin, though, not a crushed one. Peel back the lid to find 20 individual 1mm thick picks and never be plectrum-less again.